Although, it was pretty awesome. 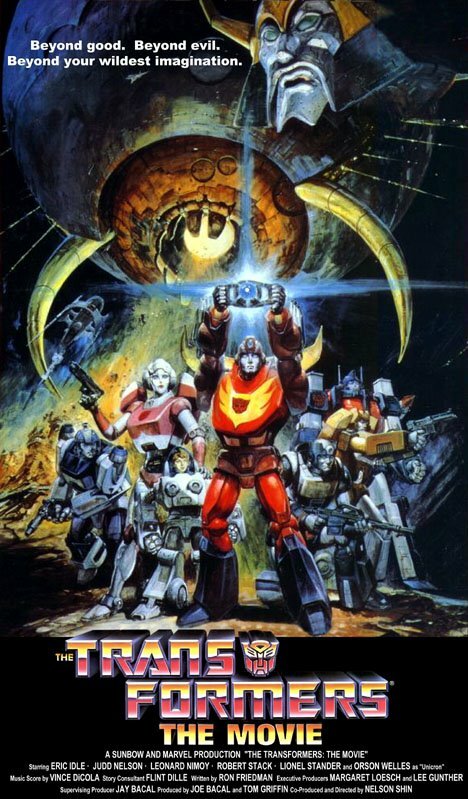 Did you know that Orson Welles voiced Unicron? It's true! Okay, I, for one, am VERY excited about this movie. I know that it could go badly, but I'm choosing to stay optimistic, mostly because the entire concept behind Transformers is SO SPINE-CRUSHINGLY COOL. Think about it: ALIENS THAT ARE ROBOTS THAT TRANSFORM INTO OTHER THINGS. It's totally crazy! Let's look at the evidence that points to why this movie could be super great. 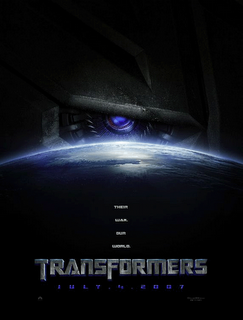 Yes, it's a bit dramatic, yes, seeing Michael Bay's name is a bit...um....horrible, considering that every movie that he's ever made has sucked, but I have faith this time. Why? Because I feel that Michael Bay is really good at shooting cars, explosions and huge fight scenes, which is (I think) what a lot of this movie is going to be anyways: vehicles exploding and fighting. Did you just get chills? I just got chills. 2) The leaked footage of cars transforming looks TOTALLY AWESOME. I don't know for sure if this footage is actually from the movie or not, but who cares? And, as Jeff pointed out, that's not the sound that they're supposed to make, but let's just assume that they're going to fix that later. PS: Who is your favourite Transformer? 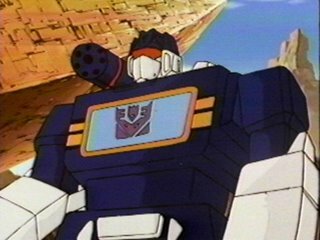 Mine is Soundwave. He's so cool! I'm a nerd. 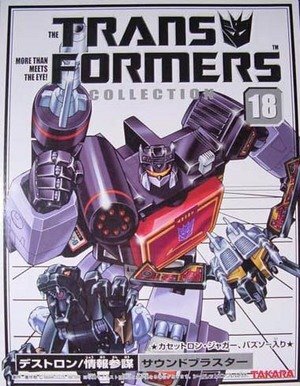 posted by the usual spy at 1:00 a.m.
That's not what transforming sounds like! I was going to leave a comment about Micahael Bay yesterday, but it didn't work out. Anyways I'm glad you at least know that Michael Bay is kind of a bad director. This movie may turn out to be just smoke and mirrors and really nothing else. I don't want you to get your hopes too high. I'm going to grab Starscream before he's taken. He's pretty cool himself. In France he's apparently known as Égo. AND in one comic book arc, he's responsible for the disfigurement of my favourite GI Joe, Snake-Eyes.